Florida, in the mid-1920s, was the land of opportunity. A fellow could get rich buying and selling land. That’s what drew Lawrence Grant Ferris to western Florida in 1925. He arrived in the nick of time, it seems, before he could invest in land and after the land boom went bust. He saw another opportunity, however, and the hundreds of acres that he would turn into Ferris Groves were the result. 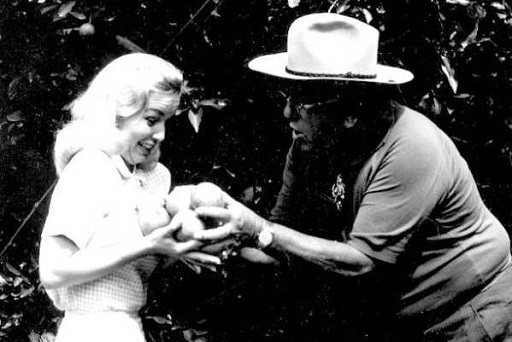 From 1930 until his death in 1975, his groves produces all varieties of oranges, and in the later years, the best strawberries under the Florida sun. Doc Ferris was the great-great-great-great-great-great-great-grandson of Jeffrey Ferris through his son, James. Born in Wisconsin in 1899, of James. C. and his Swedish mother, Anna, he made Floral City, Florida his home for decades. No Ferris leaf from the family tree would be official without a hint of scandal. The Tampa Bay Times ran a story in 2009 the drags Doc into the mystery of a missing mother. Marjorie Adele Moore was divorced, with two children in 1951 Tampa. Mom would take them each night to the Tampa Terrace Hotel, where she was well known at the bar, and then send the children home in a cab. In the morning, Moore and his sister would get ready for school and tiptoe into their mom’s room to get lunch money. She would always be sleeping. Often she was not alone. For Moore’s 12th birthday, Ferris bought him a bicycle. You never forget the guy who gives you your first bike. Mom packed a bag and vanished at Christmas, 1953. A couple of years later, Moore’s sister, Jana, returned to Florida — and booked a room at the Tampa Terrace Hotel. She asked workers, waitresses, everyone: Had they known Marjorie Moore? Moore and his sister never asked again.